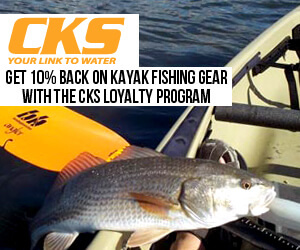 The Colorado Kayak Affiliate Program in AvantLink has a really nice collection of Kayak Fishing gear. CKS was awarded Canoe & Kayak Magazine’s Retailer of the Year award for good reason. Few competing companies have as much kayak gear available online as Colorado Kayak – sporting over 900 Skus. They carry the best of the best in kayak fishing, including the Cuda by Jackson Kayak. The CKS program has a 6% commission on all sales for partners in both AvantLink and ShareaSale affiliate networks. The AvantLink product widget let’s publishers easily search for kayak fishing product links and images for posting in banner ads or as text links copy. Which is nice because when your fishing blog is earning you more money, well, that leaves more time for fishing.